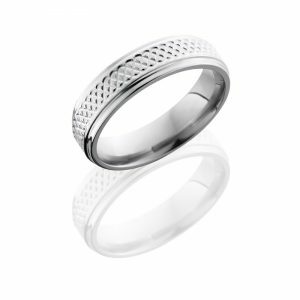 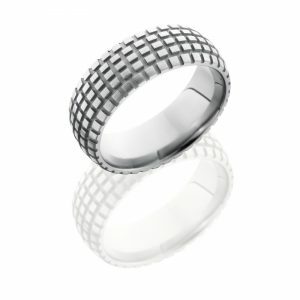 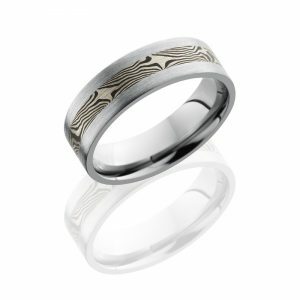 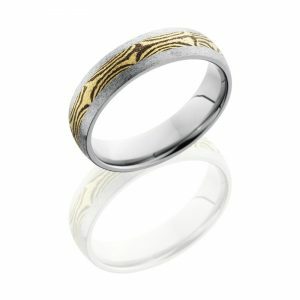 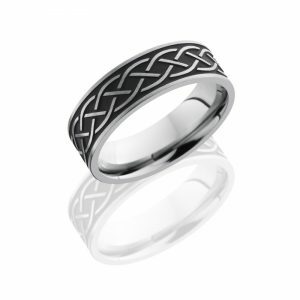 Damascus Steel (basket weave pattern) domed comfort fit band. 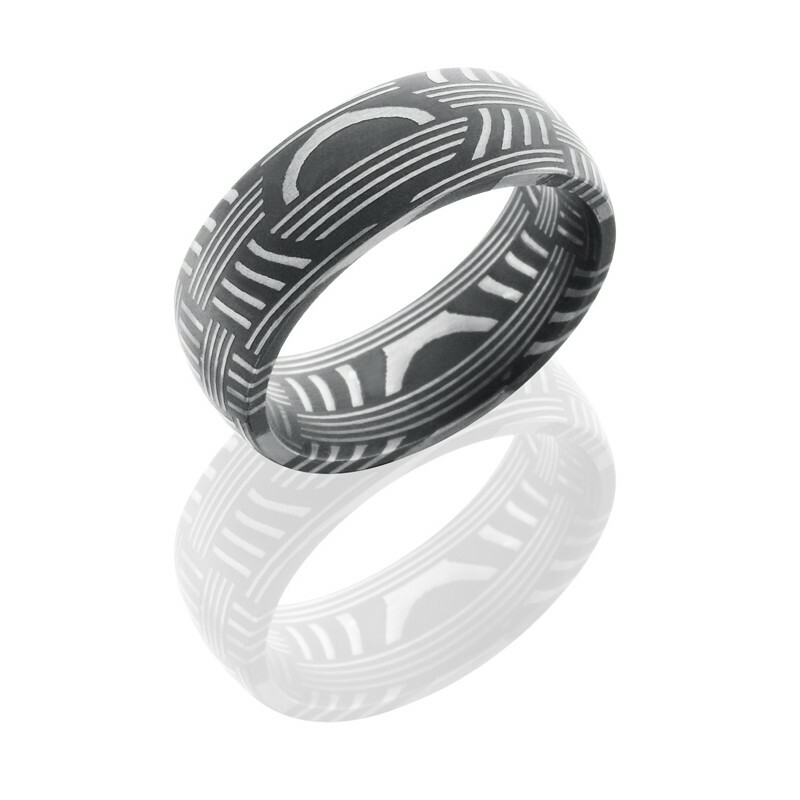 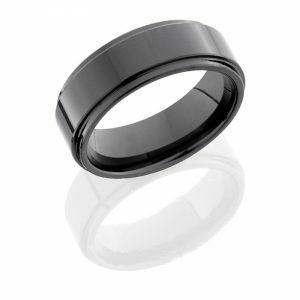 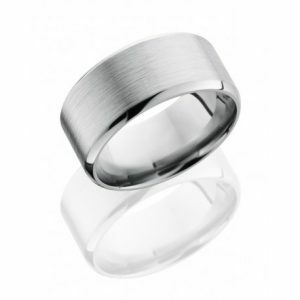 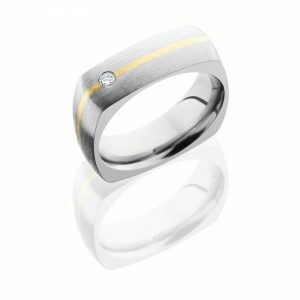 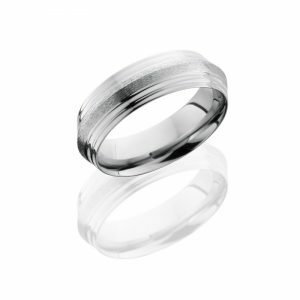 The ring is 8mm wide with a half round acid washed finish center, which runs the circumference of the ring. 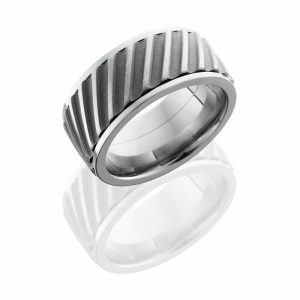 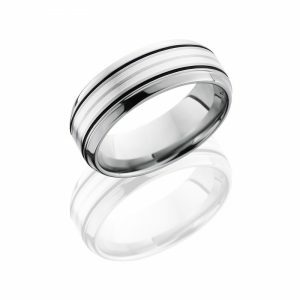 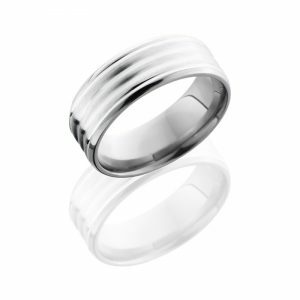 Also, the ring has a flat acid washed edge and heavy comfort fit.